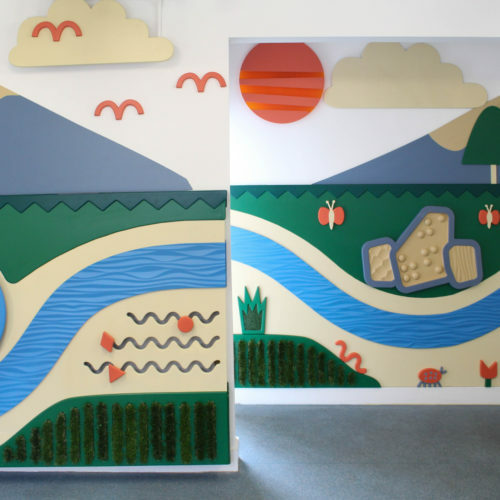 East London NHS Trust & Bow Arts commissioned us to create an interactive artwork inspired by nature and the River Lea for an NHS Special Educational Needs Clinic in East Ham. 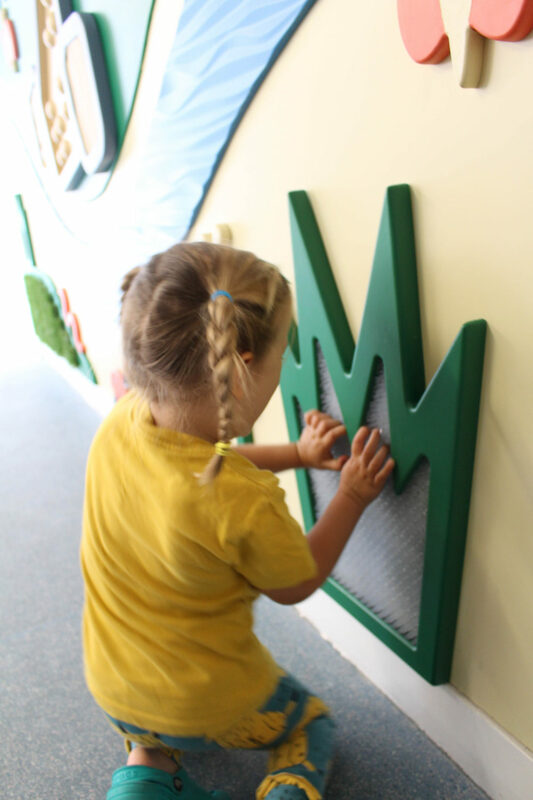 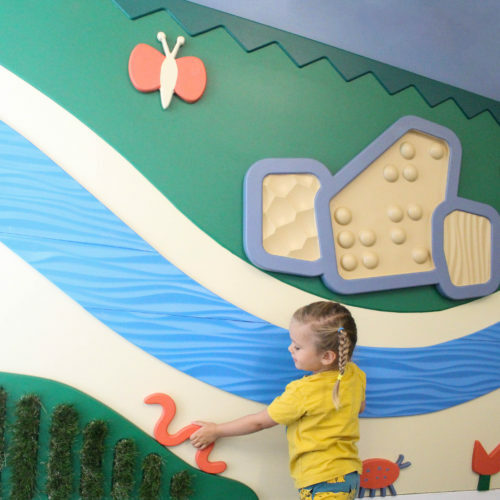 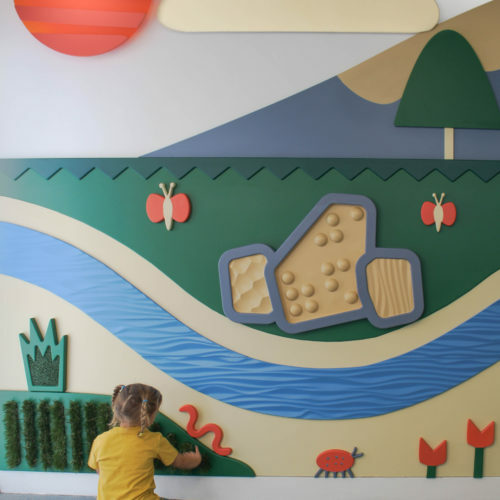 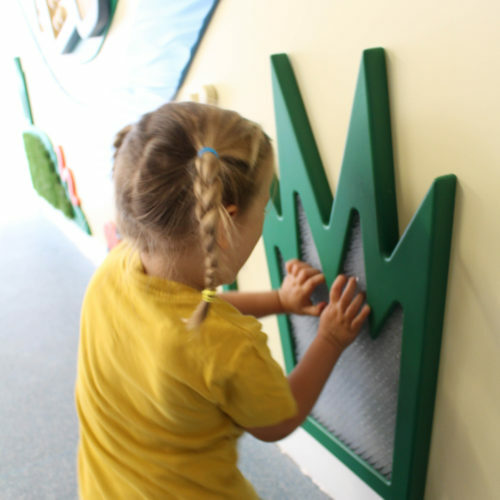 After testing how service users responded to a range of tactile sensory textures and observing the type of existing fixed play elements that were popular we developed a multi-sensory, interactive wall mural. 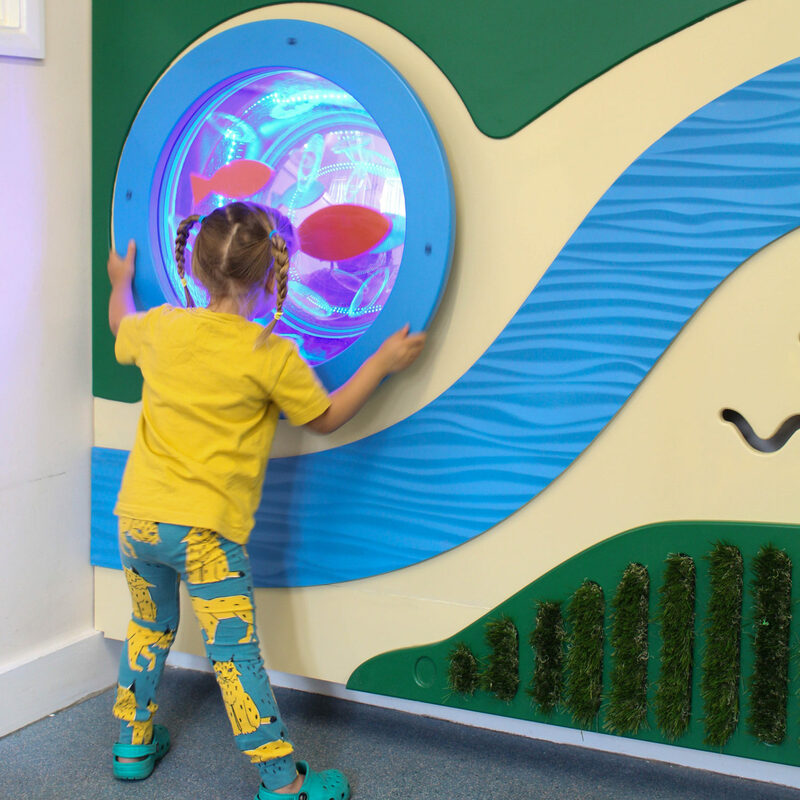 A touchy feely landscape with an illuminated spinning pool of fish, winding textured river, wiggly insects, scratchy grass and bobbly boulders. 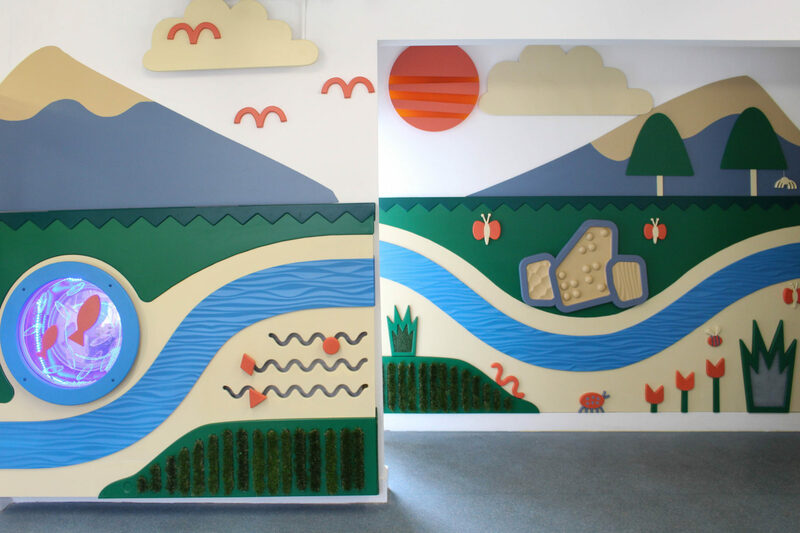 We carried out an observation session and spoke to parents, staff and young people at a local clinic that was already up and running in order to understand the sorts of things we should consider and incorporate into our design. 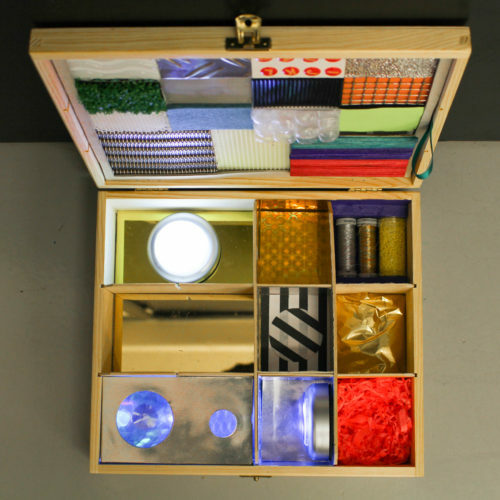 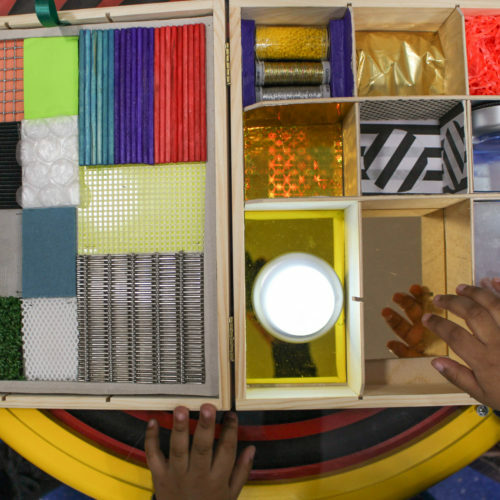 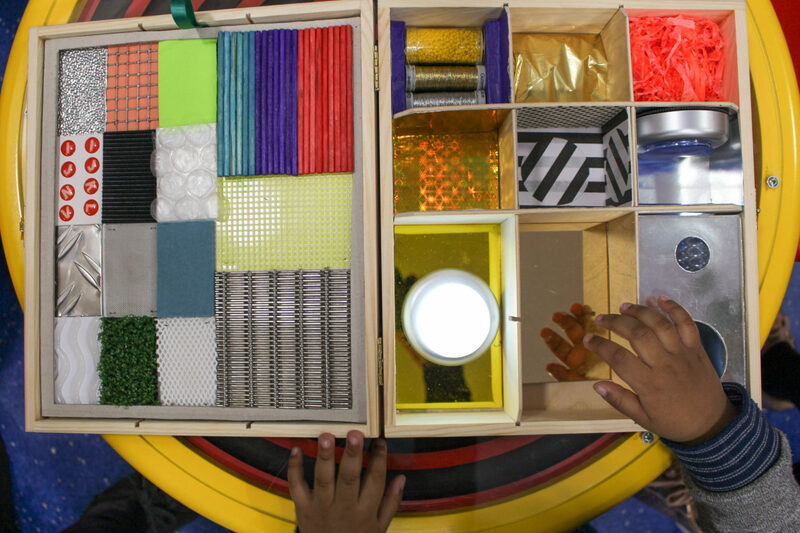 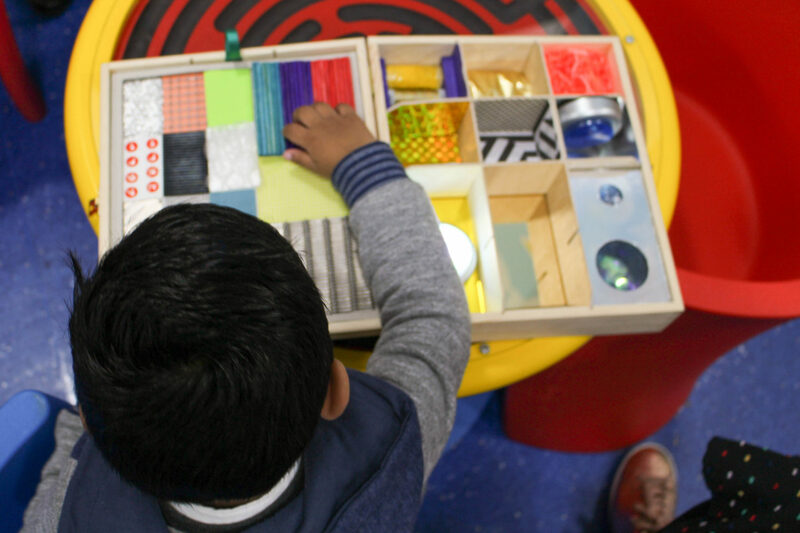 We also used a tactile sensory box in order to understand the different types of textures, sounds and stimulation that appealed to people with special needs which. 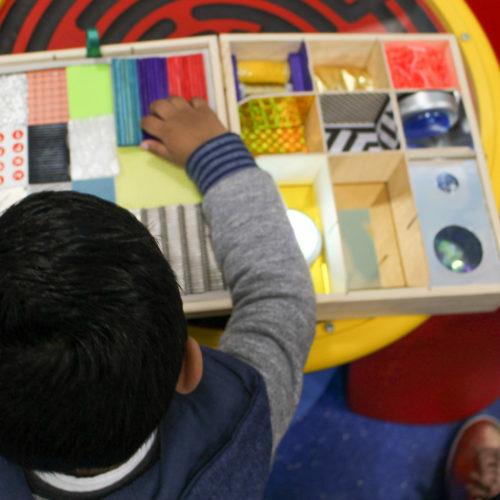 Observation and a iterative design process was really important to make sure that we were creating a design that would work for a wide range of sensory needs and preferences. 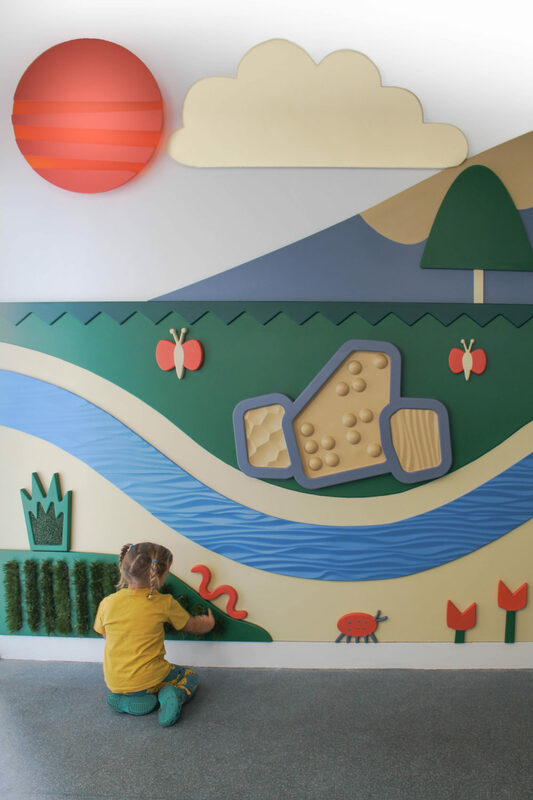 With all this insight and conversations with the client we developed a textured landscape with moving parts, lights and lots of things to touch and feel.